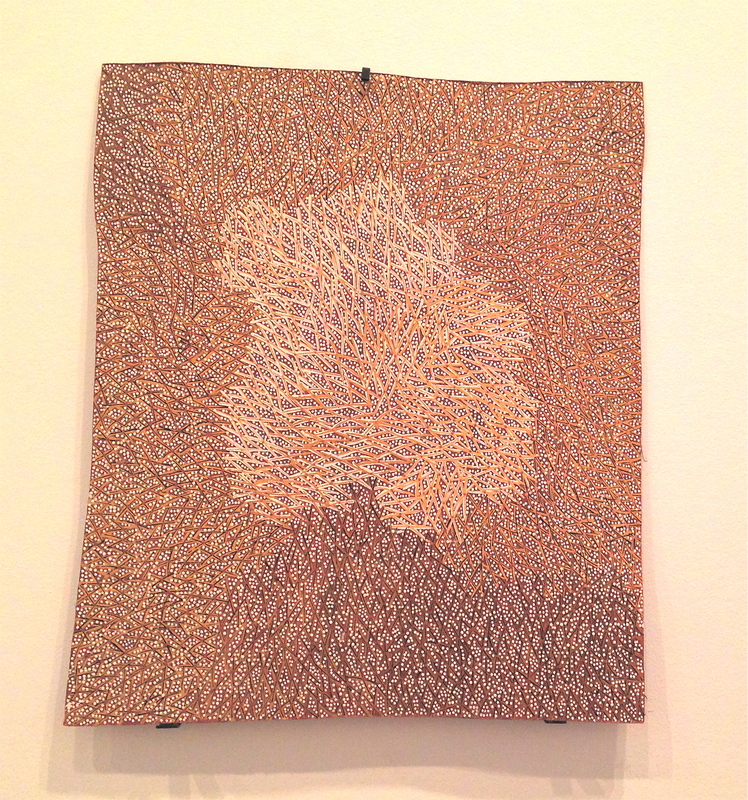 Currently showing at the Ian Potter Centre at NGV Federation Square is a historical indigenous art exhibition displaying varying forms of indigenous art from the early nineteenth century until the present. Titled ‘Moving Backwards into the Future’ the collections narrative expresses the combination of past, present and future without the relevance of time, a bit like time travel. The connection and experience the indigenous elders have with their spiritual ancestors as well as the Universe via ‘Dreaming’. The collection comprises over 100 works of traditional pieces with intricate hand painted barks, shields and hollow log coffins to modern pieces like the large wall sculpture made from recycled rusted barbed wire and corrugated iron, an installation of drift wood and nylon to glass jars with black and white photos depicting family heritage.